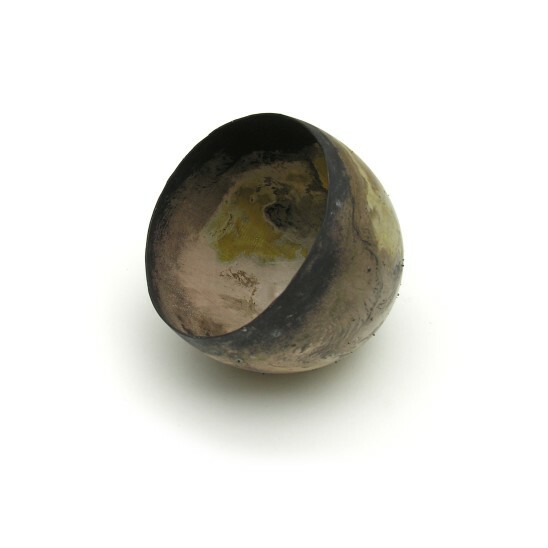 A group exhibition of selected contemporary jewellery from renown international artists. Armillaria - Honey Fungus - becomes a metaphor for the network of unseen influences and inspirations that feed Bauhuis' work, shown here alongside new cast vessels, and jewellery. To coincide with the Design Museum's survey show Unexpected Pleasures: The Art and Design of Contemporary Jewellery, GALLERY S O London presents Chamber of Wonder. While the term 'cultural resistance' has become synonymous with the world of social sciences in the 1970s, new energies emerged elsewhere. From the sub, counter and resistance cultures exciting developments in contemporary jewellery blossomed and a fresh identifiable movement among designers and makers of the day was born. The work asked questions about the cultural meanings of gender, material value and the intimate relationship between the object and body. Wearable pieces were made to rethink social rituals and stereotypes and queried the notion of how and why we adorn ourselves. Following in the spirit of this movement Chamber of Wonder shows the work of current designer makers united by their irreverence of traditional notions of luxury jewellery and a curiosity for reinterpreting objects found and fashioned to wear. From Bernhard Schobinger's choker of hexagon rock crystal slabs linked with fine gold to Hans Stofer's renovated skipping rope necklace with timeworn handles, or David Bielander's silky, silver garlic bulb pendant, the works in the show celebrate the diverse expressions of the genre and offer fresh alternatives to the 'proper' function of jewellery. Peter Bauhuis, David Bielander, Rudolf Bott, Helen Britton, David Clarke, Christian Gonzenbach, Andi Gut, Therese Hilbert, Simone ten Hompel, Kimiak Kageyama, Manon van Kouswijk, Otto Kunzli, Mark Monzo, Sonia Morel, Ted Noten, Mah Rana, Michael Rowe, Fabrice Schaefer, Bernhard Schobinger, Hans Stofer, Manuel Vilhena, Lisa Walker. Peter Bauhuis, David Bielander, Helen Britton, David Clarke, Iris Eichenberg, Andreas Fabian, Christian Gonzenbach, Andi Gut, Tony Hayward, Therese Hilbert, Simone ten Hompel, Manon van Kouswijk, Otto Künzli, Marc Monzo, Mah Rana, Michael Rowe, Antoinette Vonder Mühll, Bernhard Schobinger, Hans Stofer, Manuel Vilhena, Lisa Walker.